Postmodernism proponents Terry Farrell and Adam Nathaniel Furman should broaden their range of influences and definition of the style to help the controversial architecture movement remain relevant, says Aaron Betsky. 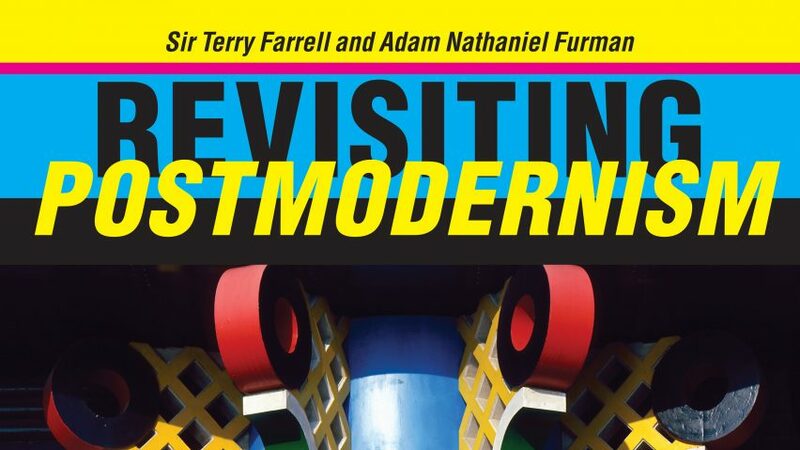 Revisiting Postmodernism, a rereading of that particular movement by pomo prince Terry Farrell and young pretender Adam Nathaniel Furman is, like its subject, a strange beast. Part memoir, part compendium of historical buildings, part historical and aesthetic argument, part self-justification, the book is unified in only one way: it claims the postmodern title for one particular approach to architecture. You might even say it is postmodernism as self-justification. What the authors mean by postmodernism is the use of mainly neo-classical elements as decorative additions to vernacular facades and no-nonsense plans. Of course, a good place to find such designs is in Farrell's own work, but here he and his young co-author enlist the whole of 19th and 20th architectural history to justify its appearance and rightness. It just so happens that, along the way, they make the important point that there is an often-overlooked architecture history, which offers a different logic than the standard progression to, as Mies van der Rohe put it, "almost nothing". Mainstream notions of mechanisation, technological reduction of elements, and a general simplification and abstraction of form have never quite been able to replace or suppress this other story. At the same time, we still do not treat that other history with as much seriousness as its varied and complex collection of forms, images, and spaces deserves. While mining this vein of architecture, Farrell and Furman express an interest in two other sources: the vernacular, and popular culture. Here, however, the result of their inspiration is more difficult to find, except for the neon Farrell sprinkled around what is still his masterpiece, the TV AM Headquarters of 1983, and the occasional use of brick in his designs for what are otherwise large, institutional structures. For Farrell, these sources came together with the buildings he saw growing up in Newcastle and the Midlands, where the neo-classical piles, provincial and expressive of the sudden wealth of the 19th century, had become the vernacular with which he grew to be familiar. In the end, the postmodernism for which Farrell calls is one that is, as he says, "a celebration of uncertainty, plurality, diversity and, above all, 'choice'". The diversity, however, is one that exists within an extremely narrow range of both sources and expressions. It is perhaps like the differences in cut you might find at different Bond Street tailors. For the younger Furman, on the other hand, the main source of inspiration is the Italian architecture of the 1950s through the 1970s, when, starting with the editorship of Ernesto Rogers, Casabella magazine became "a hotbed for the propagation of debates about the opening up of modernity to history". Furman (I assume, though there is no separate credit, that he is mainly responsible for the second part of book, which is separated from Farrell's section by a section of glossy photographs), in other words, makes less of a claim for the work's openness and variety, claiming instead that it essentially reconnects us to traditions and thus to a culture of shared values: if it looks old and familiar, it will be good and acceptable. This leads Furman to a much more incisive and precise history of postmodernism than Farrell's. He goes on to claim – correctly, in my view – that the postmodernists "re-appropriated the historical forms to create something new, the way a bricoleur might re-appropriate wood and stones found in a ruin to make his own new house". Despite their careening joyride through 20th-century architecture, Furman and Farrell in the end argue that there is a right way of making form. In this they differ little from those who espouse doctrines or styles of any sort. For all their call for "a parliament of competing approaches", what they offer instead is a way of making buildings epitomised by Farrell's work of the 1980s and 1980s, which Furman is now taking further in much more inventive ways, liberated by the computer and without the demands, at least so far, of fitting acres of offices or apartments into his playful collages. Like Charles Jencks and Robert Venturi, the authors claim that "through style, form could become active and communicative in manifold ways, speaking to audiences and occupants, clients and communities in a manner that abstract codes of meaning could not". "Never has such a spirit been so needed," they go on say, "as it is today, at a moment of portentous upheaval; and yet, rather than finding ways of harnessing the vital energies of current paradigmatic technological and cultural change, we have mostly retreated into an austere form of nostalgia for simpler times." If only they followed their own advice. Farrell and Furman end with a clarion call for "a new generation of architects who, with a belief in the visual, stylistic and representational power of built form, throw themselves giddily into the whirlwind of the contemporary human condition and its 21st-century economic, technological and cultural habitat". As long as that means more than to "vigorously pursue new formal agendas", but instead also leads to an openness to true otherness and diversity, I am all for that kind of postmodernism.